Has it really been that long? Madden NFL 09 marks the 20th anniversary of one of the world's most popular video game franchises and allows players to experience a real authentic NFL experience. 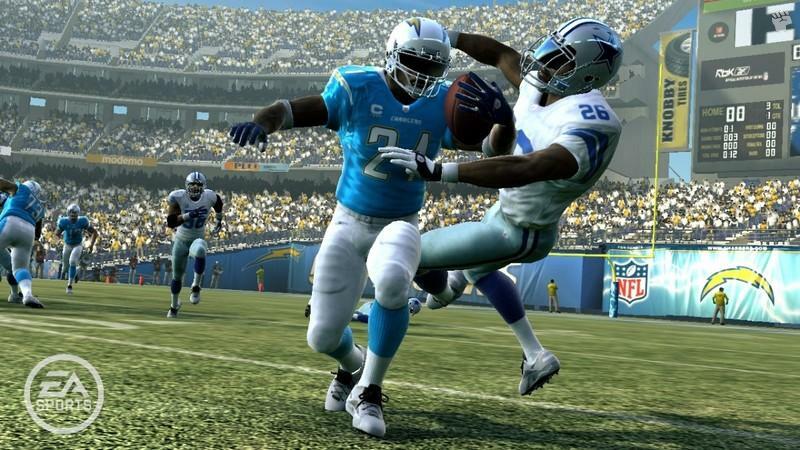 With updated graphics and gameplay, Madden NFL 09 is once again the definitive American Football game and somehow EA Sports have upped the ante with this current incarnation. For those unaware of the Madden series, it basically uses the image and voice of the NFL's most popular football commentator, John Madden and as for the gameplay, it's a combination of arcade simulation with a healthy dose of real world stats. In its essence, it's the perfect NFL game and even though the game may be a tad difficult to learn for "us" Australians, the developers have ensured that the learning curve is relative in terms of picking up the controller and playing. Although I've missed a few of the Madden games, I was quite impressive with this current incarnation because when you first load the game, our good pal John Madden appears, albeit a little otherworldly who basically grades you on a variety of different NFL plays from drills to tackling. Once you have completed the "IQ" test of the game, the title automatically adjusts itself for a level that is right for you. Definitely very cool! 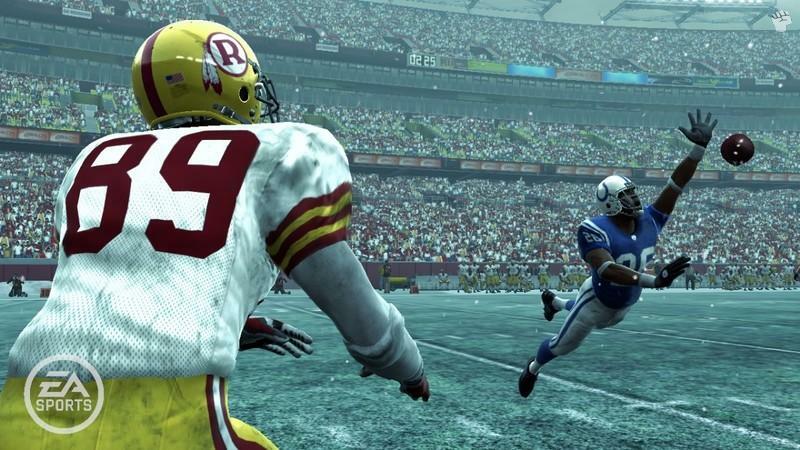 The beauty of Madden NFL 09 is the improved gameplay which borders of realistic and allows you to perform a variety of real-world NFL maneuvers that has been perfectly mapped on the XBox 360 controller. With that said, the learning curve is rather steep if you have never played a NFL game before and there is quite a large amount of stopping and starting, however if you persevere, the rewards will be almost limitless. The AI of the title can be quite brutal at times, however for seasoned veteran's, it will give them a challenge but for newcomers, they may want to try a lower difficulty which is helped by the Madden IQ test. If you do get stuck with a play, you can always ask Madden for advice! 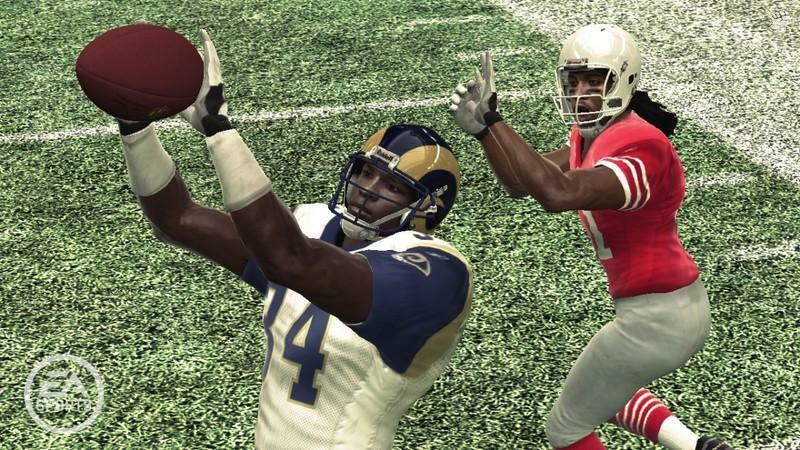 Online play has always been a lacking feature of the series and Madden NFL 09 finally supports a decent online addition that allows for stat tracking, player trades and even a scheduling option. If you're playing with a friend, the game is still quite as entertaining as ever! Wanting something a little different? Why not try the Madden Challenge which allows you to play key moments from the 2007 season and even change them if possible. It's kind of like replaying the 2007 AFL Grand Final and beating the Cats. The franchise mode also returns in Madden NFL 09 which is great as you control all the facets of your team and is quite an in-depth NFL simulation. Of course, the Superstar mode is another favourite of mine that allows you to turn your "newbie" or rookie player into an NFL superstar. The rewind feature of Madden 09 is great for "rewinding" those poor plays and has quite a Matrix feel to it in this sporting world. It's sort of like a mulligan in golf and is great for the inexperienced player as it allows you to practice on your various plays. Graphically, this is the most impressive sporting title that I have seen this year and it's amazing how EA Sports continues to improve their sports games. The presentation is first class and is the pumping soundtrack but graphically, it is almost as if you are watching an NFL game on TV. With that said, if you don't have a Plasma or LCD TV, you are really doing the game and yourself an injustice. The characters are extremely detailed and are quite fluid of the field and the developers have added a variety of small touches that make you smile, even though some of these animations are inconsequential. Match that with realistic weather conditions that actually hamper the gameplay and actually make your players get dirty from the mud etc is pure brilliance. Lastly, the final touch of the game are the stadiums which are almost photorealistic and go hand-in-hand with the gameplay. Audio wise, the star of the game is Chris Collinsworth who commentates throughout the game and the EA Sports have ensured that his words are quite accurate without any slowdown or gaps. Even though John Madden is the man behind the game... he is only in the title by name only but he does make an appearance here and there. 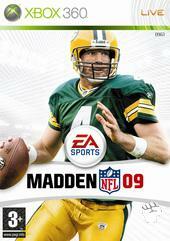 Hopefully John will return sometime soon to lend his talents to the best NFL game since the original. In conclusion, Madden NFL 09 has considerably improved gameplay, lush graphics and perfect audio which may not have the market in Australia, however if you are a sports fan than I highly suggest you investigate this amazing American Football game... any closer to perfect, you'd be in heaven or at an actual match in the US of A.